Growing up, Barbara Eloisa Mai was always told how approachable she was and how comfortable she made people. This inspired her to pursue psychology and nursing; she felt it was only natural to expand upon her affable nature for the benefit of others. Dr. Mai proceeded to earn a Bachelor of Science in nursing from Georgetown University in 1978, a Master of Science in nursing from Catholic University of America in 1982, and a PhD in transpersonal psychology from the Dove Center at Howard University in 2006. She also became a certified Reiki master and obtained certifications in bio-energy, therapeutic touch, clinical hypnosis, and behavioral medicine. Since the start of her professional journey, Dr. Mai has worked hard to build a strong reputation among her peers, community, and clients. 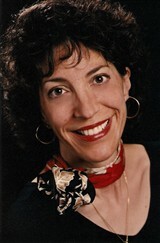 She has garnered experience in a wide variety of positions, including staff nurse in the hematology unit at the University of Chicago and assistant head nurse in the oncology unit at Arlington Hospital, and has developed her knowledge through organizations like the National Association of Clinical Nurse Specialists and the Society of Behavioral Medicine. Additionally, Dr. Mai has served as a nurse specialist and assistant behavioral medicine division head at the Naval Hospital in Bethesda, Maryland, the director of the Mind Body Stress Clinic at the National Naval Medical Center, an adjunct assistant professor at the Uniformed Services University of Health Sciences, and a senior staff member at the National Center for Research Resources, the National Institute on Drug Abuse, the National Institutes of Health, and the National Heart, Lung, and Blood Institute. Today, she devotes her attention to her own business, the Mai Center for Wellness and Energy Therapies. Her expertise lies in military veterans, chronic pain, and addiction. One of the highlights of Dr. Mai’s career was spending more than 20 years at the Naval Hospital. It was there that she first started introducing her ideas about integrative medicine, and despite some protest, she managed to prove her methods effective. She is also proud to have been a therapist to other therapists, which to her is the highest honor someone in her field can receive, and to have been instrumental in helping so many people cope with painful issues. In her spare time, Dr. Mai enjoys spending time with friends, attending concerts, and dining out.